Such interviews will take place over a shared meal, which Chef Sharwin will cook for the guests. It will be a very candid, but sincere setting. The series hopes for viewers to truly get to know the guests and be inspired by their stories and views. Initial line-up of celebrity guests include Julie Ann San Jose, Kylene Alcantara, Derrick Monasterio, Donita Rose and beauty queen Mariel de Leon. 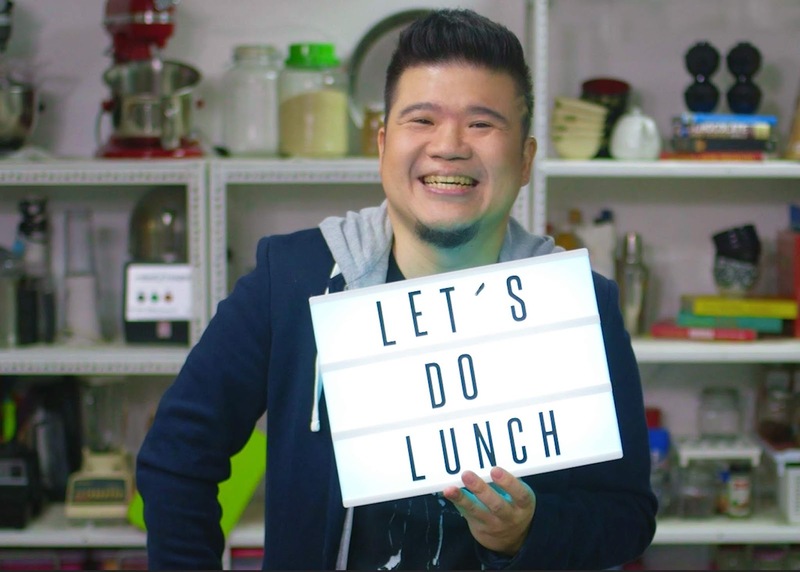 “Let’s Do Lunch” will air on GMA News TV Channel 11, every Sundays, 11:00 to 11:30am beginning November 11, 2018 and is being produced by Curve Entertainment Inc.
Sharwin, who has become known for his quirky and innovative twists on traditional Filipino and Chinese-Filipino cuisine, graduated with school honors from the Pacific Institute of Culinary Arts in Vancouver, Canada. He was the host of the long-running television cooking and travel show “Curiosity Got the Chef” and web shows like “Bet You Didn’t Know” and “Not Safe for the Hungry,” which can be viewed on Facebook and Youtube. He has authored two books, “Curiosity Got the Chef, The Cookbook” and the just-released, “So, You Want to be Chef?,” a memoir detailing his journey from a 6 year old kid mesmerized by a cooking show to becoming a chef and cooking show host himself. With the book, Sharwin aims to give aspiring chefs a real glimpse into the food industry. Chef Sharwin has previously cooked for dignitaries and well-known personalities such as the Ambassador of Canada to the Philippines, Christopher Thornley; the current Canadian Ambassador John Holmes at his official residence; former Philippine President Gloria Macapagal-Arroyo, Vice President Leni Robredo, Top Chef Champion Paul Qui, Dia Frampton of the Voice and rockstar Ely Buendia, just to name a few. He has worked with several brands, including Hunt’s, the United States Potato Board, Nutri Asia, Spam, Mini Stop, Bounty Fresh and wine company Casillero del Diablo, creating recipes, conducting seminars and doing cooking demonstrations. Besides cooking and hosting, Chef Sharwin is an active advocate of education and reading. He regularly holds pop-up dinners, entire proceeds of which were dedicated to building public school libraries. To date, he has held over 20 successful pop-up dinners in the Philippines and abroad, including sold out stops in San Francisco, Detroit, St Louis, Seattle and Chicago.